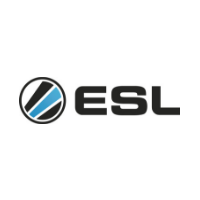 ESL, a part of the international digital entertainment group MTG, is the world's largest esports company, leading the industry across the most popular video games with numerous online and offline competitions. It operates high profile, branded international and national leagues and tournaments such as the Intel® Extreme Masters, ESL One, ESL National Championships and other top tier stadium-size events, as well as grassroots amateur cups, leagues and matchmaking systems. ESL covers a broad field of services in gaming technology, event management, advertising and television production, fully catering to the needs of the esports ecosystem. With offices in North America, Germany, Russia, France, Poland, Spain, China, UK and many others.